ur 2019 quilt is the gorgeous “Autumn Sunrise“. 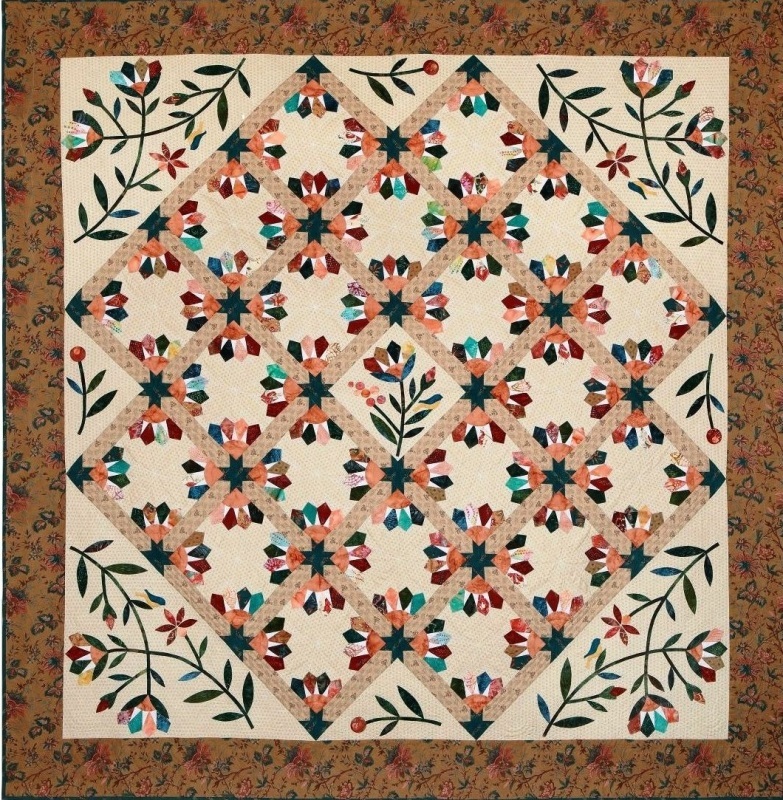 The pattern is ‘Dresden Bloom’ by Edyta Sitar of Laundry Basket Quilts. The 88″ x 92″ quilt was made with 100% cotton quilt fabrics and Hobbs 100% cotton batting. Tickets are $2 for one or a book of 3 for $5 and can be purchased at any guild meeting or from a guild member. Members are encouraged to check out the big or small quilt, take bookmarks and raffle tickets to take to retreats to market the show and sell tickets. Contact quiltshow@boisebasinquilters.org for more information.